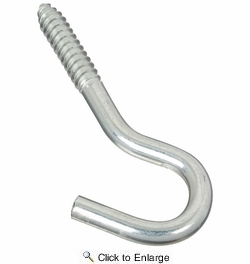 National N220-889 3/8" X 4-7/8" Screw Hook - Zinc Plated. 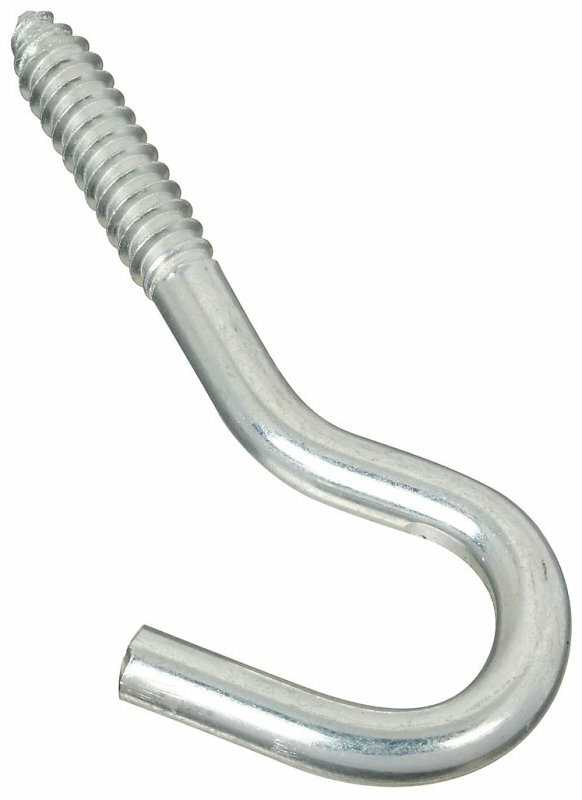 Designed for hanging planters, signs, clotheslines, etc. Medium weight to heavy weight. For interior and exterior applications. Manufactured from steel wire. Safe Working Load (SWL) 150 lbs.